You feel better than you look. You are refreshed and have energy, but that’s not what the mirror says. The sagging jowls and the disappearing chin tell a different story. You may look much more tired than you really feel. You have contemplated surgery – a facelift – but yet you hesitate. You see the celebrity that looks unnatural and you shy away. But in actuality, you, in fact, do see successful facelift results daily – it’s just that you can’t detect the work that was done! That’s the point, isn’t it? To have the work done without any evidence of it. Subtle changes that just make you look better! To ensure a natural and beautiful facelift result, you must choose the right plastic surgeon. A surgeon with the right training and plenty of experience with a list of satisfied patients. You need a compassionate surgeon with the eye of an artist! Chicago’s own Dr. David Dreyfuss has dedicated his career to facial plastic and reconstructive surgery. He has been in practice for over a quarter century and has thousands of satisfied Chicago area patients. His skill will ensure a successful result. You will receive a younger version of you! For some, a facelift can offer a younger appearance of eight to twelve years. Aging, sun, pollution, anxiety, the fierce Chicago wind, and gravity will take their toll on your face, neckline, and self-esteem. Resulting creases and wrinkles, as well as folds and fat deposits, can begin to have a negative effect on your appearance and identity. Professional and personal relationships might be affected as self-confidence dwindles. But a facelift will help you regain your youthful appearance sought, by removing excess fat, tightening the underlying muscles and re-draping the skin around the neck and face. Facelifts can be done alone or in conjunction with another procedure like a brow lift, eyelid surgery, chin augmentation or nose reshaping. Having a facelift does not change the shape of your nose, eyes or forehead. Upon arrival at our Orland Park office, you will be greeted by one of our friendly front desk receptionist. They will guide you through the administrative process and orient you to the practice. You will be introduced to Karen, our patient coordinator, who will be with you throughout the process. She is well-versed in all aspects of cosmetic surgery and you will find her a valuable resource prior to and following your procedure. During your initial facelift consultation visit, you may voice any concerns or doubts you may have and ask any questions you feel are relevant. You will meet Dr. Dreyfuss who will consult with you and share his recommendation and realistic expectations. You will be provided with enough information to make an informed decision. Chicago based Dr. Dreyfuss believes a well-informed patient is in the best interest of a successful facelift procedure. Are not satisfied with your aging facial appearance. Dr. Dreyfuss will evaluate your facial anatomy and discuss with you what facelift procedures may be implemented. A full facelift is a combination of separate facial surgery procedures that correct different parts of the face. 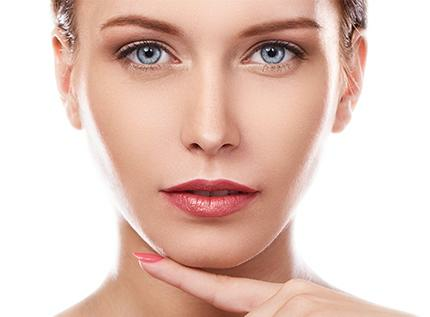 Every one of our facelift Chicago patient’s procedures involves a custom approach. Dr. Dreyfuss will tailor a facelift for full rejuvenation specific to individual needs. During the consultation at our Orland Park center, Dr. Dreyfuss will help you decide the best facelift option. Facelifts are performed in our state-of-the-art AAAHC and JCAHO accredited surgery center in the Orland Park community. A local anesthesia with IV sedation anesthesia will be administered for your comfort. The facelift procedure takes two to three hours. SMAS or muscle repositioning is included along with fat sculpting, and the redraping and excising of the skin. It allows for the ideal relocation of both skin and muscle so that there is no tension left on the skin. With this technique, Dr. Dreyfuss can produce results that look natural. Dr. Dreyfuss will start the procedure with incisions around the hairline, behind each ear, and under the chin. He will then remove excess tissue and reposition specific fat pads under the skin. Next, he will re-drape the skin by lifting and tightening it. A short scar approach can be performed with an incision performed only under the chin resulting in an isolated neck lift. A drain may be inserted for a short time to allow excess fluid to escape. Dreyfuss Plastic Surgery is a premier cosmetic surgery practice. We have multiple ways you can reach us. Please feel free to call us at 815-806-9400 or you can reach us by submitting your information in the contact page. Following surgery, your head and face will be bandaged and a drainage tube may be placed behind your ear. This will help in the healing process by reducing swelling and bruising, and preventing fluid and blood from settling under the skin. Pain medication will be prescribed for your comfort during the recovery phase. Adequate time should be allotted for healing before resuming work and normal activities. Swelling, numbness, and skin discoloration should be anticipated, lasting for about two weeks. Your dressings and incisions should be kept dry until Dr. Drefuss allows you to bath or shower. Your head should remain elevated and immobile for the first few days to minimize swelling. The first glimpse of your facelift outcome will be after sutures are removed approximately within a week from surgery. The facelift healing period may range from one week to several weeks, contingent on type and combinations of procedures undertaken. Full facelift and mid-facelift patients can expect to return to work within two weeks. Endoscopic facelift and mini-facelift patients can expect to return within a day or two. Blow-drying hair and wearing earrings, etc., may be prohibited for a longer period. Rest and sleep are critical for proper healing. Avoid vigorous activities, heavy housework, and intimate relations for at least two weeks. Alcohol, saunas, and steam rooms are also prohibited for several months. Light walking and mild stretching are encouraged to prevent blood clots. How Long Do the Effects of a Chicago Facelift Last? One of the main advantages of facelift surgery is it can last 10 years or longer. This depends to some extent on the patient, but it also depends on the skill of your plastic surgeon. Dr. Dreyfuss has performed several facelifts on many of his patients in his 25 years of surgery and many come back to him because they trust his abilities and results. A facelift cannot revive the eyebrows, eyelids, or nose. These may be corrected in other procedures. It cannot lift the cheekbones, although your cheekbones will appear more prominent after a facelift with the mid-face portion of the procedure. Some patients opt for a brow lift (forehead lift), eyelid lift, (blepharoplasty), or cheek augmentation, if indicated and recommended by Dr. Dreyfuss. For some, non-surgical injectables like Botox® or dermal fillers can provide additional enhancement after a facelift by further smoothing fine lines and wrinkles, particularly on the upper part of the face not affected by a facelift. This can enhance facial rejuvenation. Skin resurfacing procedures can also be helpful to provide an even more comprehensive result on the finer lines of the skin. Facelift surgery is not without risk and complications may occur. Procedures to prevent complications are critical and should be undertaken by a competent and experienced surgeon. Dr. Dreyfuss prides himself and his staff with meticulous protocols to reduce any risks and promote a successful cosmetic treatment. Ensuring you are a suitable candidate, understanding your body type, precision surgical technique, and compassionate post-surgery care are essential in avoiding surgical complications. Following the doctors orders will help avoid post-surgery complications. Any doctor with a license to practice medicine can perform facelift surgery legally, despite having no training or experience in this specialty. This may open the door for severe complications due to an inadequate skill set. It is critical to choose a plastic surgeon with an exceptional track record, the right qualifications, and credentials as a leader in this field. They should be in good standing with the local community and various medical boards. Education, experience, and satisfied patients should also factor into your decision. You should feel comfortable with the entire staff as well. They should be professional, caring and compassionate as these are the people you will depend upon during recovery. Make sure you visit with the surgeon personally and visit the facility where the surgery will be performed. Take your time and do your research. Beyond any expectation that I had before surgery. It was not rehearsed or fake, I just felt comfortable. I loved the “realness” of the staff. Once I met Dr. Dreyfuss, I knew he would be the best. He didn’t pull any punches, he was straight forward and clearly explained all the details on what I needed to do to look better. He is an unbelievable surgeon, but at the same time personable, sincere and professional gentleman. He’s Great! I would never go anywhere else. ~ L.G. A graduate from the prestigious Emory University Medical School in Atlanta, Dr. Dreyfuss continued his training as a resident in General Surgery at Michael Reese Hospital in Chicago. He also received a Fellowship at the University of Chicago. He has peer recognition as an expert in the field of Cosmetic Surgery and has presented many national meetings on Breast Surgery and Breast Implants. He is Board Certified by The American Board of Plastic Surgery and Dr. Dreyfuss is an active member of the American Society of Plastic Surgeons, The Illinois Plastic Surgery Society and a Fellow in the American College of Surgeons. Dreyfuss Plastic Surgery is a premier cosmetic surgery practice. We have multiple ways you can reach us. Please feel free to call our Chicago office at 815-806-9400 or you can reach us by submitting your information on the contact page.